The Indomitable Lions of Cameroon forced a 1-1 draw against the Super Eagles in Monday’s second leg World Cup qualifying match played at the Stade Omnisports Ahmadou Ahidjo in Yaoundé. Having been beaten 4-0 in the reverse fixture last Friday in Uyo, it was expected that the Lions will come out roaring against the Eagles. Though that was the case, it was still the Eagles that drew the first blood through Moses Simon who was on target in the 30th minute. 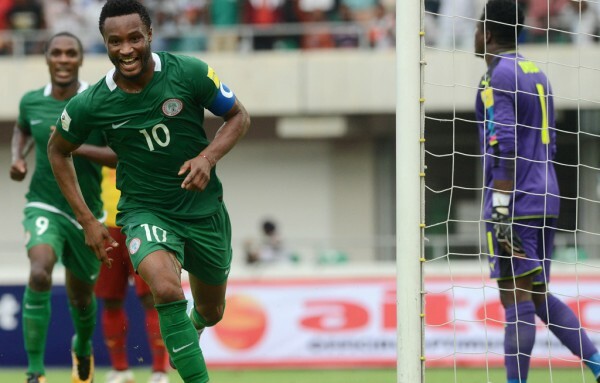 The Nigeria team had a handful of other chances to extend their lead but were unable to do so. With Cameroon continually pressing for an equaliser, their persistence paid off in the 75th minute when they were awarded what looked like a soft penalty. Vincent Aboubakar who came off the bench held his nerve to convert the spot kick to make the score 1-1. Though both sides attempted to get a late winner, with Cameroon coming the closest, it was not to be as the game ended in stalemate. Despite the draw, the Super Eagles are still top of their qualifying group with 10 points from four matches, while Cameroon remain third with three points. Zambia, who are second with four points, face bottom team Algeria in Constantine on Tuesday night in the other match of Group B.